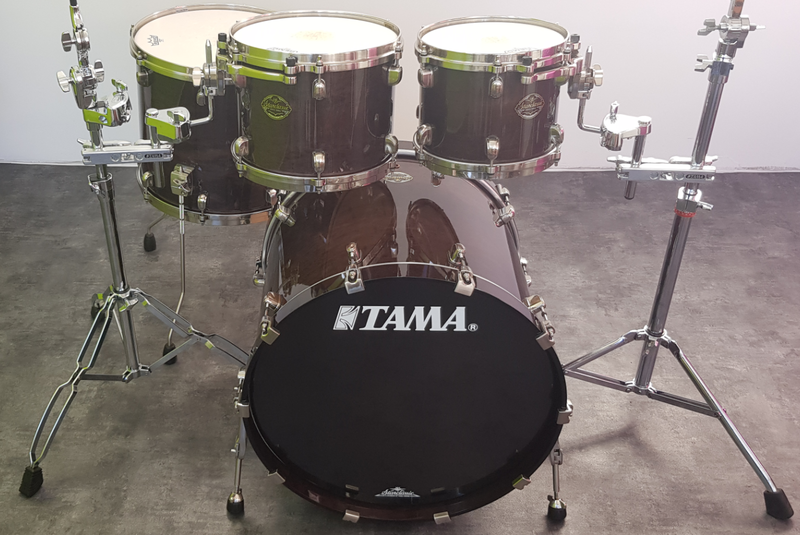 Starclassic Maple, Drum Set from Tama in the Starclassic series. 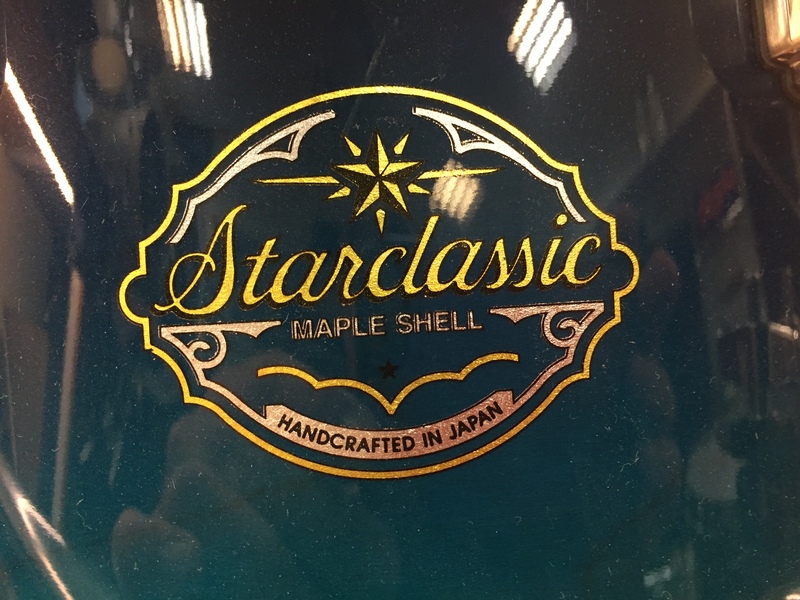 MGR/Rich M's review"Tama Starclassic Maple"
Bought the set(BD, 3 Rack Toms, 2 Floor Toms)new in Canada. Took just over 4 months for the custom ordered sizes, and color, Crimson Fade, with brushed nickel hardeware, to arrive. As to be expected. Top quality, rich warm sound, with a good high end attack due to the cast rims. Starcast mounts do a very good job isolating the shell from the stand hardware. The drums sound awesome, and they are beautiful to look at. So far, nothing with the drums themselves, although the packaging was poor. They each came in a plastic bag in a box. Not really any other type of cushioning. One tom had been dropped, or hit, and the cast rim was severely bent, requiring a new one... not in stock in North America, so another 3 months for that. They are well made, have perfect bearing edges, and finish is impeccable. The laquer job is equal to the best you will find anywhere. Expensive as hell, and had to wait forever(plus now having to wait for a rim), but they are top of the line drums, and you get what you pay for. Highly recommended. 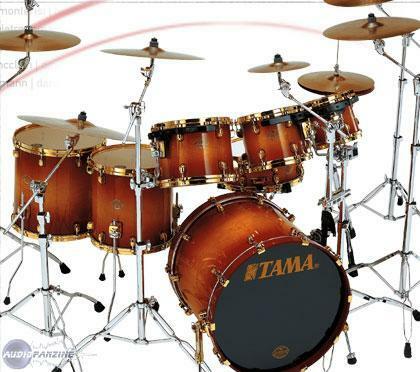 MGR/Lars Ulrich's review"TAMA Starclassic Maple"
Fantastic 9 piece drum kit. 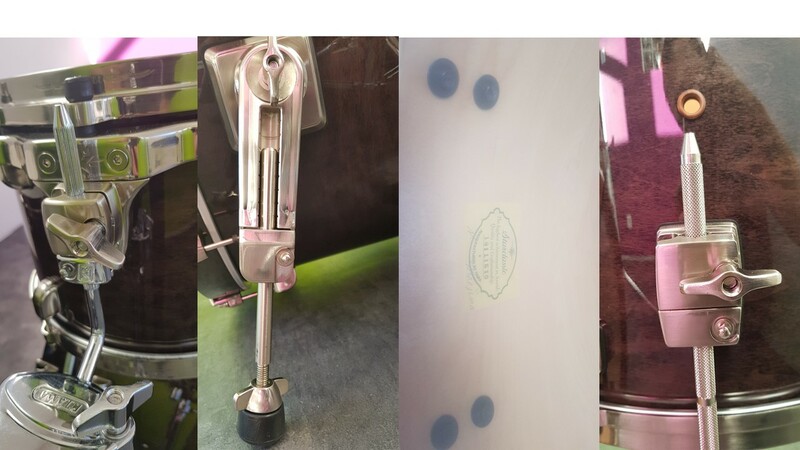 Same model, colour, tension rods etc as Lars Ulrich (of Metallica) used to use. Fantastic booming sound. 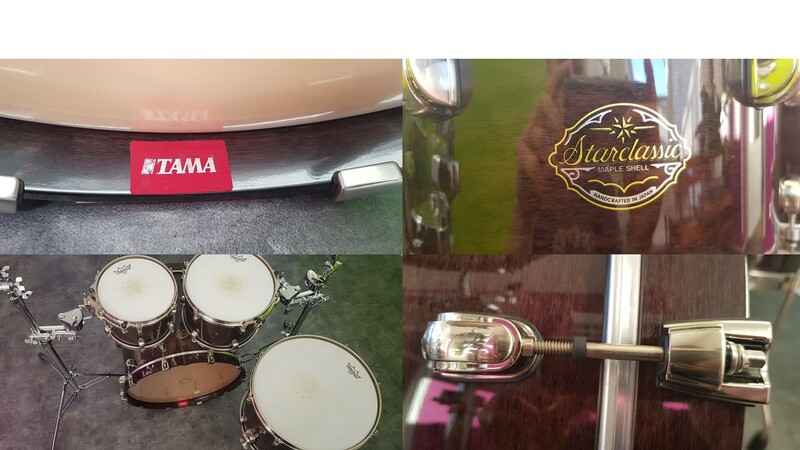 Quality is fantastic...it's Tama Starclassic! tama warlord's review (This content has been automatically translated from French)" Big sound!" 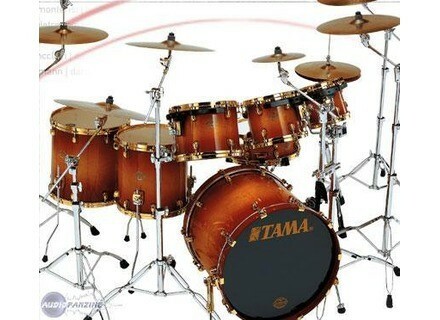 I have a Tama Starclassic including GC 24, and 4 toms, 12, 13, 15, 16. I use this drumkit soon for 5 years, every week, in concert, in the studio, rehearsing. I had several batteries before, such as custom yamaha advantage and a Mapex Saturn series. I really liked the sound of the drums, very serious, very deep, with good attack and sustain a fairly resonable. I use skins Remo Emperor clear top, which gives a fairly modern sound, very fat and very powerful. She has brought joy to my sound engineer who knows very well and the music for the concert or recording 5 min chrono, because the sound is very pure and do not be unsightly resonances. It still remains a fairly minor point if MEAN sound monster! The value for money is good enough in 2014, can we find them less than € 2,500 for a high-end drumkit of this quality, it is very interesting. toff2aix's review (This content has been automatically translated from French)" Terrible!" And what his pitain ..... For rock, blues or in my opinion whatever it else it sounds. It plans, it is warm and velvety, powerful I finally know me try and find what the appropriate term! I could not have new offer me, and yet the price is fully justified in my opinion ... But then an opportunity at this price point that mean? That play on toms that sound, which sends a gc and cc as harmonic balance that is just splayfooted! Q / P ratio at the top, I do it again this choice without a shadow of a hair later hesitation.